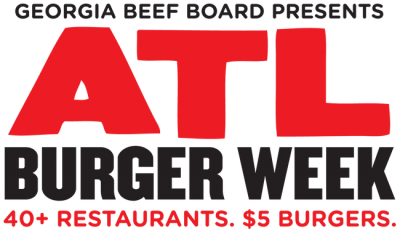 Creative Loafing is bringing back ATL Burger Week for another year of mouthwatering burgers! Over 40 restaurants across Atlanta will be serving up $5 burgers all week long as they will compete to win your vote for ATL’s Best Burger. ATL Burger Week is presented by Georgia Beef Board​, Evan Williams Peach, Atlanta Eats, and Creative Loafing Atlanta – serving up all the beef you can handle all week long! In the meantime, check out last year’s participants! More information on the 2018 ATL Burger Week.